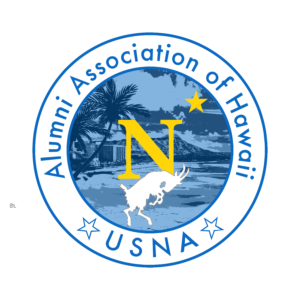 Becoming a member of the United States Naval Academy Alumni Association will help the chapter fund events throughout the year. Your participation monetary or in person is greatly appreciated and needed. The Chapter shall consist of four (4) types of Membership: Full Member, Associate Member, Honorary Member; and Emeritus Member. Full Member ($45) is reserved for United States Naval Academy Alumni Only. Any person who has been sworn in and entered on the rolls as a Midshipman for his, or her class at the Naval Academy (includes graduates and non-graduates) and shoes service has not been terminated under other than honorable conditions, shall be eligible to become a Full Member of the Chapter upon graduation of his, or her class. Membership occurs upon payment of dues. Full membership has full voting privileges. Associate Member ($20) is to include the following: Spouse of Alumni, Widow of Alumni, Significant other of Alumni, and Family of Alumni. They shall be eligible for membership in the Chapter as Associate Members with No Voting privileges unless a member of the Board of Directors. Annual Dues will be assessed. Honorary Member ($0) is an individual who has distinguished themselves in a special way in support of the United States Navy, and the United States Naval Academy. Honorary Members will be selected by the Board of Directors. Emeritus Member ($0) is a special category bestowed upon Chapter Members that have been members in good standing for at least 5 years, and have graduated from the Academy a minimum of 50 years earlier than the present year. Both Emeritus Members and Honorary Members must be approved by the board.